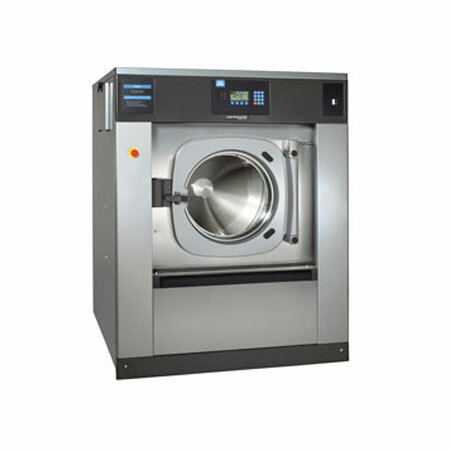 Laundry-EH090 | Hercules Machinery, Inc.
E-Series High Performance Washers-Extractors maximize energy efficiency and productivity. Designed to drive down utility costs while improving productivity. E-Series large capacity, open pocket washer-extractors in 90-130 and 255 pound capacities deliver high speed extract, an easy to install, freestanding design, unmatched durability and the ultimate in programmability. These machines are constructed using a Multi-Directional Springs (MDS) system that absorbs 95 percent of all vibrations. E-Series Washers can be installed in unconventional locations, moreover, the freestanding design allows laundries and cleaning facilities to easily relocate these machines with zero impact on the facility.